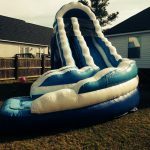 This 12ft wet/dry slide is awesome for all ages. With its open staircase and wide base it offers a playful interactive experience for all. 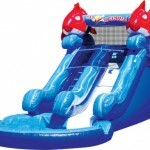 When used wet water will accumulate at the base of the slide creating an amazing splash experience for all who ride! The latest in coolness has arrived. 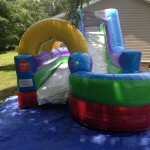 Imagine double the fun with this wet or dry slide action! 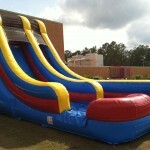 This 15ft slide is great for the elementary school age. Used wet or dry its guaranteed to be enjoyed! 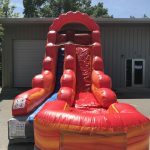 An amazing 18ft wet/dry slide that is exciting for everyone! Guaranteed to be a favorite this slide is wanted at every event. 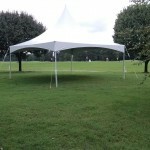 This 20’x20′ Sierra High Peak white tent is just what you need for your special event. Delivery is included with in 20 miles of either office location. Tent lights and window walls are available for an additional charge. 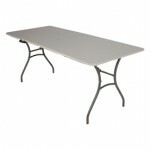 These simple set-up tables are easy to transport. 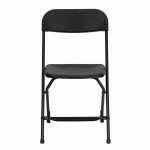 Measuring 72 inches by 30 inches they comfortably accommodate 8 chairs. 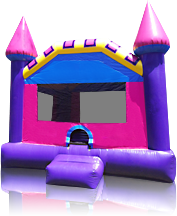 The 7 Element Obstacle Course will have you climbing, jumping, crawling and pushing to get thru to the end. From the smallest to the biggest of users everyone will have a good time! This unit color schemed in your everyday primary colors is perfect for any event. 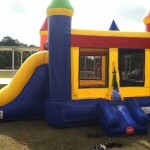 With a basketball goal, slide and plenty of space this unit is perfect for any event. 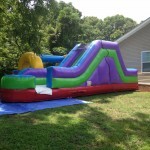 This is the perfect obstacle course for any backyard. 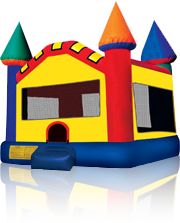 At 25ft long you will be going up and down, over and around. Finish the fun with a slide and start it all over again! 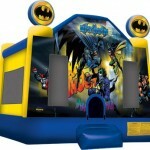 Here to save the day and brand new to our line up BATMAN! Every childs first super hero. Book today so he doesn’t miss your special event. 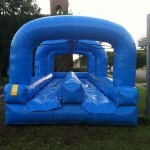 This super cool 12ft blue wave is usable wet or dry. 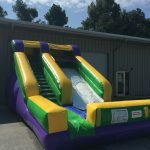 With a rear staircase which leads to a drop slide patrons of all ages will enjoy! Brand new to the 2018 summer line up and promotionally priced at $175 plus tax when you pick up. 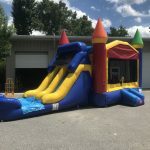 Book it today for your special event. 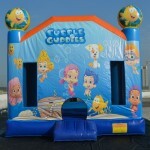 Join Molly, Gil, bubble Puppy, Mr. Grouper, and the entire guppy gang as they dive into the party! 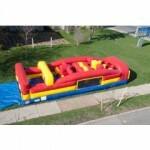 Just like the other 7 element 30 ft crawl thru obstacle course. Simply camouflage in design. 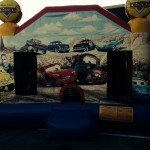 Lightning McQueen and Mater can cruise to your next celebration. If the movie Cars is your favorite invite the gang to whip around your back yard! If there is a need for speed this is the unit for you! 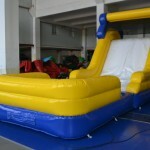 Bookable for both wet and dry events this unit provides a large jumping area as well as an attachable slide. 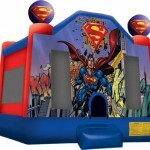 Colored in bright primary colors red, yellow and blue its perfect for any event boy or girl. 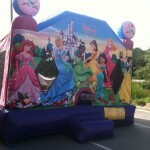 Measuring 16 by 20ft and over 15ft tall its grand size will have everyone cheering! 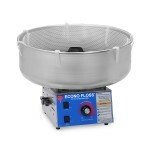 YES, this unit can get wet look below for additional details. 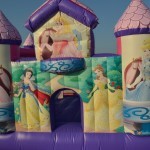 If it’s a classic princess party make sure you invite Arial, Cinderella, Jazmine, Sleeping Beauty and Snow White to the celebration. The birthday princess will feel as one amongst these ladies. This amazing double lane slide combo is perfect for any age. 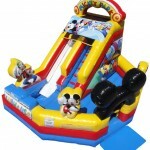 Two inside bumpers and two single lane slides brings twice the fun! What a way to SHINE! 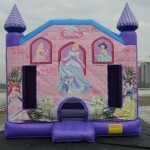 Every princess young or old will love this one of a kind unit. 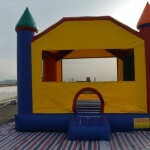 You will find this all enclosed unit featuring a slide and basketball goal provides lots of options for things to do. 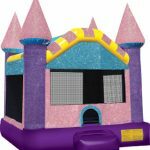 Dazzle at the party with the cutest pink castle around! 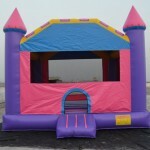 This pink castle covered in sparkle is guaranteed to make every little girls special day shine. This Disney collaboration has every character you can imagine. Not sure exactly who to invite? Everyone will be there with this unit! 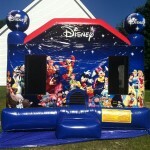 This unit has all of your favorite Disney characters ready to play. 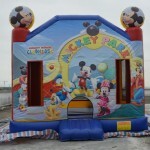 Perfect for boys and girls this unit measures 16 by 20ft and almost 15ft tall! 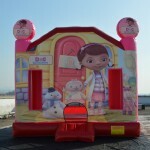 Doc McStuffin can move her backyard playhouse clinic to your yard for any celebration. With the help of her friends Hallie, Chilly, and Lambie they can fix any birthday gift. Look out as Dora and Boots stay clear of Swiper! If the party gets off track Backpack and Map are there to find the way. This dynamic duo is a favorite for many. 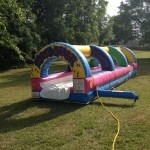 This 30ft double lane slip-n-slide will bring the perfect addition to every event. Perfect for all ages everyone will enjoy this ride! 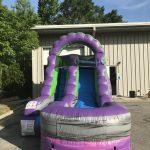 Brand new to our summer 2017 line up is the double slide and bounce house that can be used wet or dry. 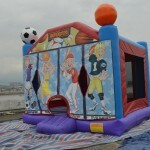 It has 2 basketball goals one on the inside and one on the outside rear corner! 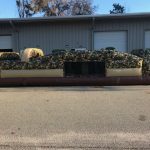 It measures 29ft long and 15 ft high. Able to entertain even the biggest of kids down to the smallest. 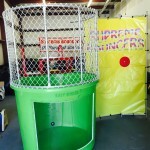 This 500 gallon dunk tank is easily portable by simply attaching to a towable vehicle. A 2 inch ball will properly allow you to move this unit to your desired destination. 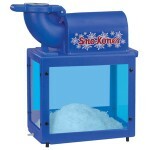 Depending on water pressure fill time can average about 45mins. Three (3) target balls come with the rental. 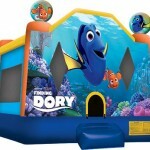 As forgetful as we all become sometimes don’t forget to invite Dory and help her find her way to the party! 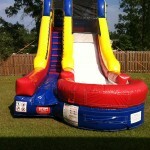 This blazing HOT super COOL slide is 15ft of fun! Usable wet or dry every event year round is guaranteed to be the hottest event of the year! Brand new to the 2018 summer line up book yours today! Frozen characters Elsa, Anna, Kristoff, Sven, Olaf and Hans are here to join your Winter Wonderland. 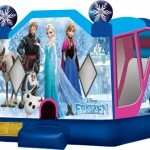 Bring your little princesses dreams come true with this one and only Frozen bouncer. 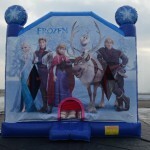 This Frozen combo bouncer includes 300ft of jumping room with a slide and basketball hoop! Yes it can be used wet or dry! 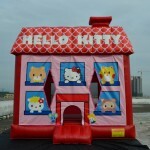 Everyone loves Hello Kitty and all her friends! Make sure you send invites to your celebration to all of them. When everyone gets together it’s going to be a blast! Batman, Superman, Wonder Woman, Flash and Green Lantern join forces to battle crime. Earth’s greatest heroes are assembled to form the Justice League, to combat a threat beyond each member’s capabilities. 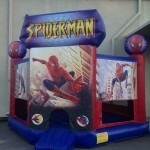 This super hero combo with slide and basketball goal will keep any little marvel occupied for hours. Wow at only 163lbs and 12ft tall this Lil’ Kahuna is perfect for any little fishy! Dont let size fool you though even bigger fish can swim in this pond. 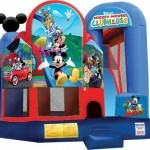 How amazing is this Mickey Clubhouse! 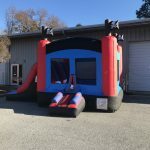 With a slide and basketball goal this unit comes with plenty of space to get the party started. 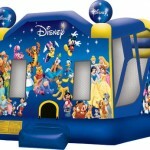 Invite Mickey and his gang to your event with this amazing bounce and slide option. Add water to the slide or use it dry. Measuring 16 by 14 on the base and almost 13 feet tall it is just what you need to go along with your BIG DAY! You asked for it and now she’s HERE! Minnie Mouse and her girls are ready to rock! This unit used either wet or dry is full of surprises. 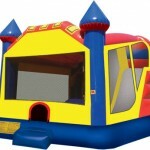 With a slide, basketball goal, bumpers and crawl over logs there is tons to keep the party going! 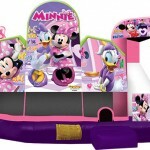 Here she is by popular demand MINNIE MOUSE! How cute is this unit for any little one dressed in pink. 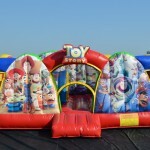 Experience the biggest monster truck inflatable around. Look out so you don’t get crushed under it’s big wheels! 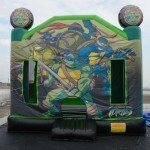 Invite the Teenage Mutant Ninja Turtles to your next event with this 16 by 20ft unit thats almost 15ft tall. 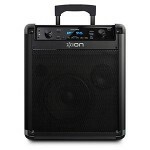 With the ability to add water this unit is totally rad for any month of the year! 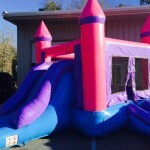 This pink castle is the perfect fit for any princess. Shining bright is pink, purple, blue and yellow will make every event shine. This combo in pink, purple, and blue is perfect to brighten up any young ladies day! What a perfect pink combo for any age princess! 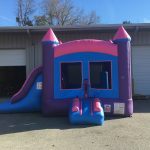 With double slide and two bumpers on the inside this unit is the perfect fit for any girl! Ahoy Mates! 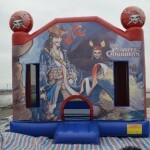 This combo with double slide and 2 inside bumpers allow for a trip perfect for any pirate! 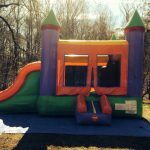 Are you looking for an amazing addition to your event? This pool slide has two options. Remove the pool bottom and attach it next to any ingrained pool! You can also use the attachable pool and create your own splash action. 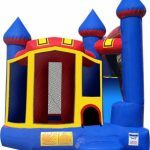 Awesome for large groups due to the wide design and double staircase! If it’s a princess party make sure you invite Arial, Cinderella, Tiana, Belle, Jazmine, Sleeping Beauty and Snow White to the celebration. The birthday princess will feel as one amongst these ladies. 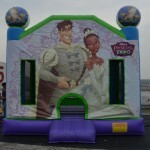 Prince Naveen and the beautiful Tiana can hop your way in this Princess and the Frog bouncer. Every young girls dreams of finding their prince. Kissing frogs just isn’t always in the plan. 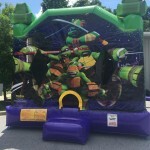 This 12ft keeps you cool yet brings the heat! Brand new to our summer 2018 line up and promotionally priced at only $175 plus sales tax when picked up. Super easy to set up and everyone can play! 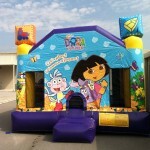 This combo unit in primary colors is perfect for children of elementary years and younger. 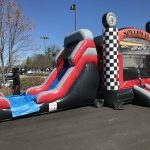 Combine the fun of a bounce house and 6ft slide! 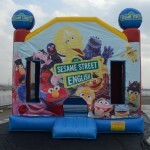 Big Bird, Elmo, Cookie Monster and the entire Sesame Street gang is here and ready for your next event. Every child knows these characters and has their favorite! 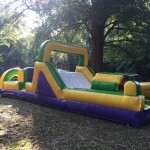 This 30ft single lane slip-n-slide is the perfect addition for any event! 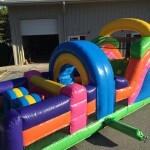 This 30ft obstacle course will have you bob and weave thru to the end. The rock climb wall in the middle leads to a 8ft drop down slide. 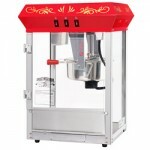 THIS IS FOR THE PURCHASE OF THIS UNIT. 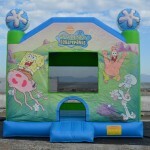 Bring the underwater sea to your next gathering with the most popular SpongeBob SquarePants. His friends are with him to help energize the party! 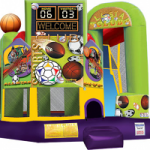 This sports theme bouncer is the perfect fit for the football, soccer, baseball and basketball star! 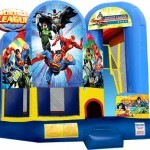 For the young athlete in the house this bouncer is a home run! 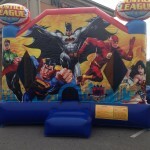 Super-man has flown in and been added to our line up. Full of color and perfect for any event. 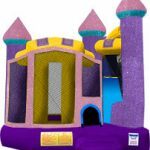 Your little princess will feel right at home in this toddler castle! 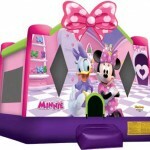 Designed for the little ones whether crawling or learning to run around your princess will love it. The litle ones want to jump, crawl, slide and play too! Welcome to tropical paradise! 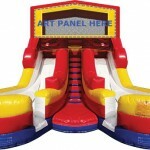 This unit measures over 26ft long and full of jumping fun. 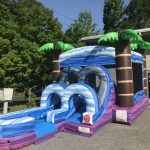 Little ones climb in to slide down a slide and then can crawl up a second slide to splash down a wet slide and out of the unit. 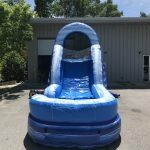 What an amazing unit to splash around in on those hot Carolina days. 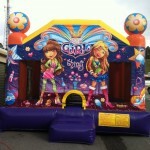 Easy to set up and take down this unit is perfect for your event. Climb the rear staircase to come down into a pool of water.